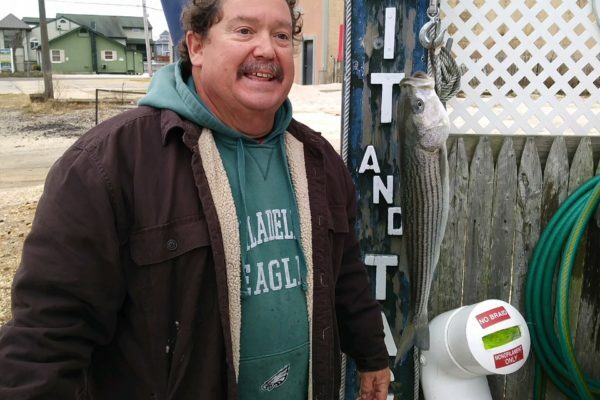 We weighed in a couple stripers off the surf yesterday! 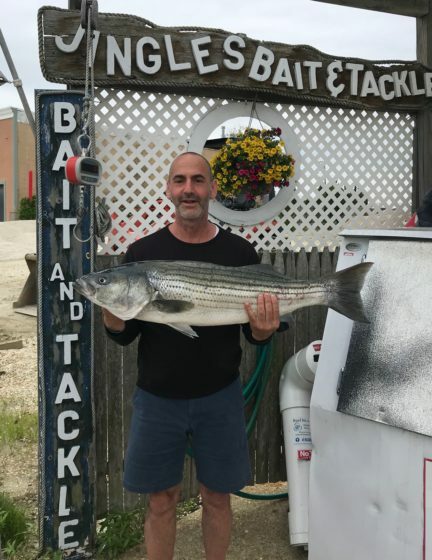 Marc Sarnitsky caught this striper which put him in the lead for the Jingles In-Store Tournament. It was 17.08lbs and 35.75″. He was in Beach Haven using Bunker. 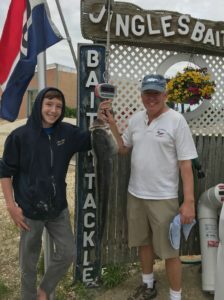 Then Nathan came in with his striper he caught with Terry by his side – 27.34lbs and 43″. Nathan was in Spray Beach and caught using salted clams. He was in the same area Dan was the day before with his 28 pounder! Reports of anglers meeting their limit with fluke in the back using minnows. The are fluke in the surf as well. Rain, Rain, go away…… We were very lucky by skirting the rain most of yesterday. But not today… its rain and will be for a good part of the day. But the rest of the week is looking good! Water temp is now about 62.